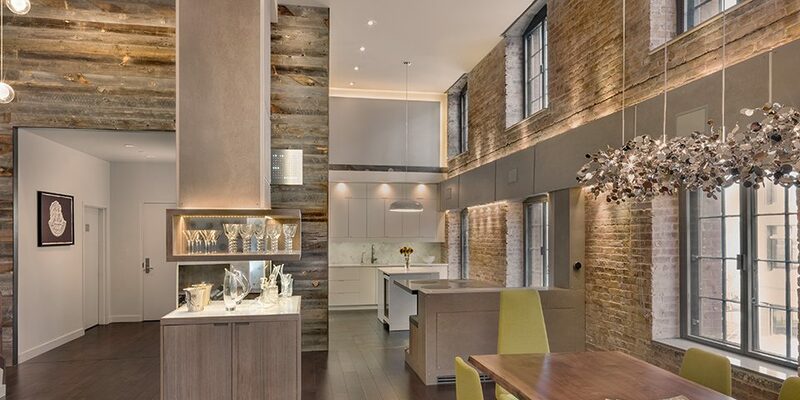 Nothing brings depth and soul to a room more so than wood, so that’s why PLAANK use a unique mix of reclaimed and specifically designed sustainable woods that differ from any other products out there, to create highly decorative wall panels that will bring life to any space. With very low moisture content, the inconsistent consistency throughout the range and the choice of two backings (8mm thickness natural or 4mm adhesive backed) means that PLAANK panels are the answer to any interior project. Sourced from the highest peaks and lowest depths of North America, the ever popular reclaimed range brings a true vintage experience to any project. Created by Mother Natures hottest summers and coldest winters, the reclaimed PLAANK truly accentuates the weather's natural ageing process. The ever popular Rocky Mountain Grey is the definition of what nature can produce through its various climates. Without going through any manufacturing or dying process the Grey is 100% naturally coloured by the elements and is the pinnacle of reclaimed finishes. The stunningly rich finish of the Yellowstone Scorched has undergone the ancient Japanese Art of Shou-Sugi-Ban. This process uses burning and fire treatment to not only give its exquisitely unique appearance but also serves to preserve the wood, giving it protection from fire and UV rays resulting in it outlasting any stained or painted wood by decades. The whitewashed Culebra Peak White brings crisp freshness to any space. Whilst keeping the authentic, vintage, reclaimed feel, the White opens up your project giving a more airy and relaxing atmosphere. Smoking Oak veneer really brings out the true richness of our Breithorn Burnt wood. The process itself causes the sap and heartwood to react, meaning the panels themselves will vary from light to dark brown giving you a warm and snug ambience throughout the room. The contemporary Monte Viso Grey brings you the designer's choice in colour but with the addition of the rustic grain structure of Oak you are assured of getting the perfect blend of modern and vintage which will add class and sophistication to any project. Santis Split offers a unique twist to ordinary Oak panels. Taking its idea from solid Oak beams, the splits in the veneer give the vintage feel whilst the black filling really brings those splits to life.